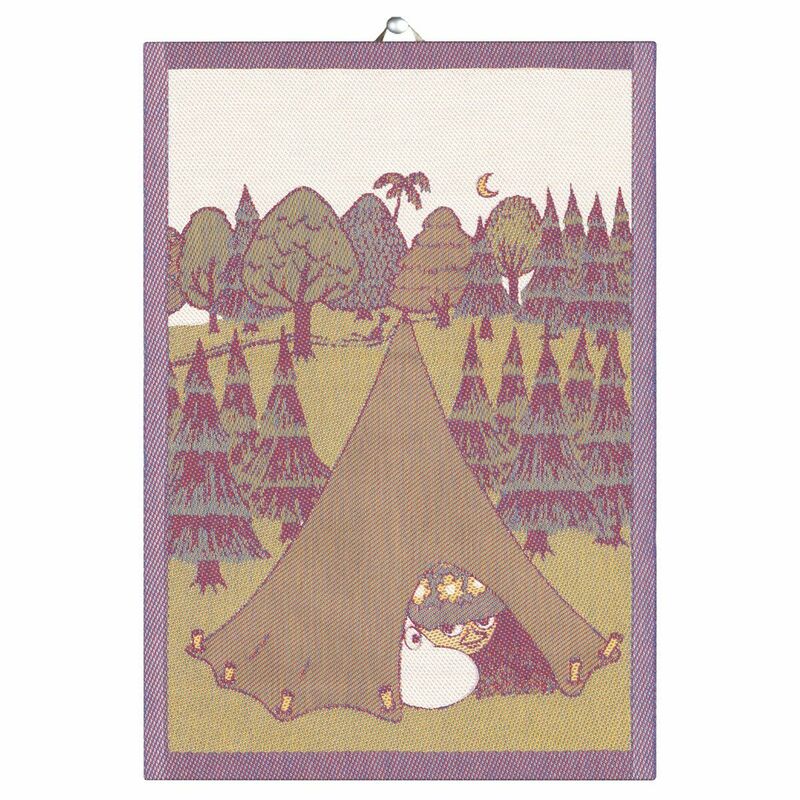 More about Ekelund Moomin Camping Tea Towel Join Moomin and Snufkin on a camping adventure in nature whenever you use this Ekelund tea towel to dry hands and dishes or line bread baskets. When you use it instead of paper towels to dry hands and dishes, you too will showing your love for nature. It's made in one of the most environmentally-friendly textile factories in the world from sustainable 100% organic cotton and is GOTS-certified. 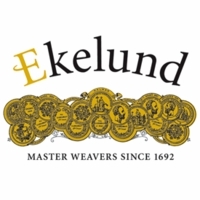 Ekelund uses a patented rainbow weave that play tricks on the eye. The border looks purple, but upon closer inspection, it's actually made up of red and blue threads. Even the lush green hills of Moominvalley are made up of yellow and blue threads to provide hypnotic dimension and wonderful admiration. Perhaps the beauty could be appreciated while dining when used as a placemat? You'll find plenty of purposes for this textile art.